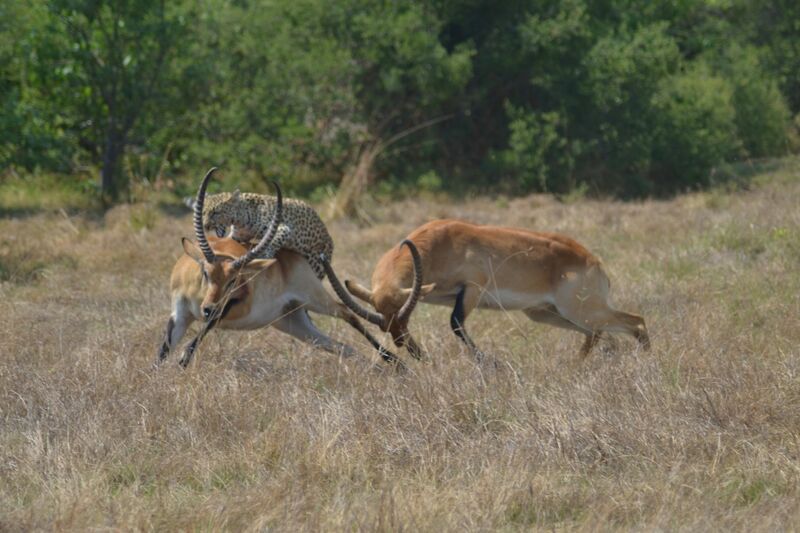 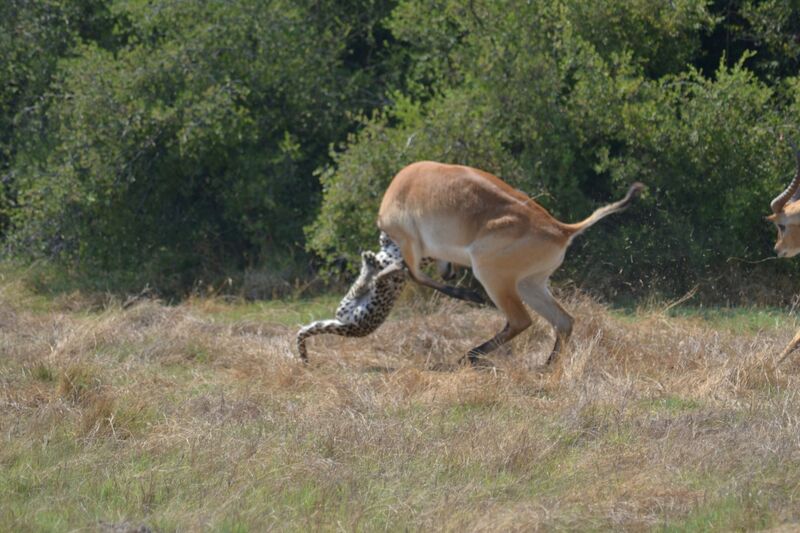 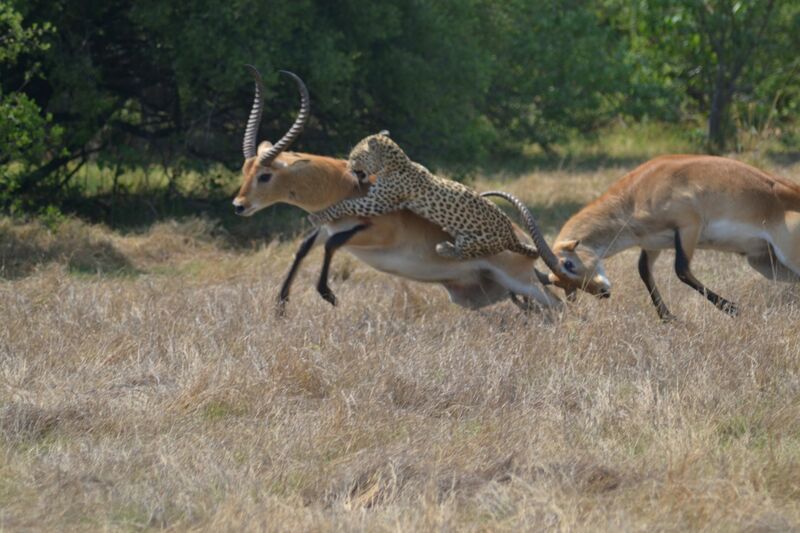 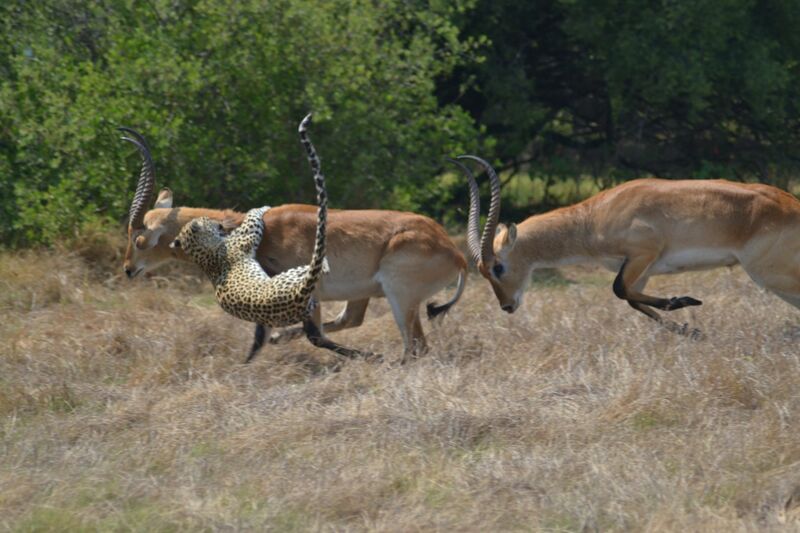 A BRAVE antelope makes an unlikely escape after being ambushed by a leopard as it battled a rival.The red lechwe was already exhausted having locked horns with another male when the killer cat struck – but managed to shake it off. 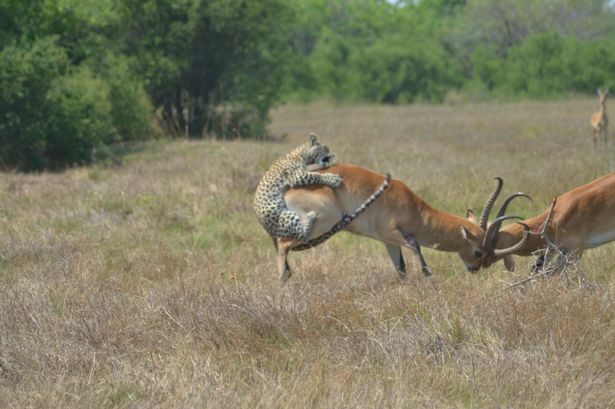 The fast-paced footage was shot by safari guide Thomas Nkwazi,in the Okavango Delta area of Botswana, as he enjoyed a morning drive with four guests. 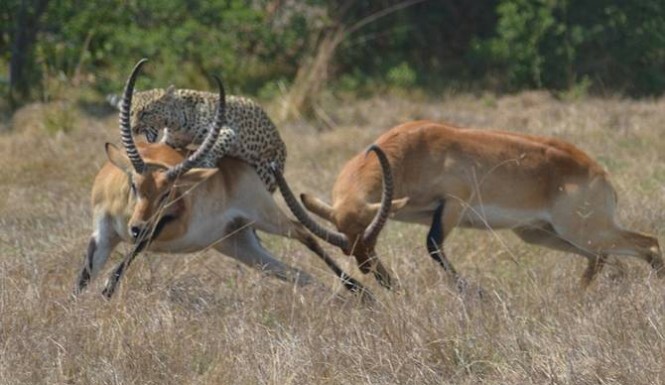 Despite the violent attack, the antelope suffered only minor cuts, while the opportunistic cat left with its tail between its legs.